Ladies leave your man at home! This year sixteen female soloists will take to the stage for the Eurovision Song Contest 2018. They come from all corners of the world and all bring different songs to the table. They share a common aim: Winning the Eurovision Song Contest 2018. And while the sisterhood is all well and good, this is not Europe’s Best Friend Contest. These women are out to win and six weeks ago we asked you to select your favourite. Now, after 22,553 votes, we have your answer: Israel’s Netta. She came, she clucked, she conquered with 14% of all votes cast. Since we opened the poll Netta has cemented her position as the bookies favourite and led the fan OGAE Poll 2018 since it started. All signs point to an impending Israeli victory in Lisbon in May. Despite this, the margin between Netta and second place was small. There were only 238 points between Netta and runner up Saara Aalto. The “Monsters” hitmaker won 13% of all votes cast in the poll. Her total of 2947 votes was almost enough. The result sits alongside Saara’s other second place finishes on X-Factor UK and UMK. Only one other act made it into double percentage figures. Croatia’s Franka rounds out the top three on the poll. Over 2,000 people ranked Franka as their favourite female soloist and she took 10% of all votes cast in total. Her popularity clearly hasn’t been dented by a scandal that engulfed her song at the end of March. Portugal’s Claudia Pascoal and Belgium’s Sennek round out the Top Five. Both ladies received 9% of all votes cast. They were also the only other acts to get more than 2,000 votes each. 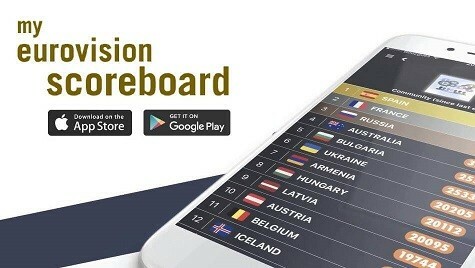 Greece, Estonia, Cyprus, Australia and Lithuania round out the Top 10. P O R T U G A L ! Percentage wise the French songs have much more downvotes than Israel on YouTube. Israel also has way way more likes! France’s song is just so… so…. boring! it is my number 1 now!! france song nor even for top 5 is… boring song. OMG WHAT DID I JUST WATCH?!?!?! Okay yep, best staging ever! Hands down!